Once a person decides to begin the journey of changing his or her gender, restoring the hairline is usually the first and most important step in the process. This is especially true when one considers the major differences in the characteristics of male and female hairlines. The direction and orientation of hair shafts differ in males and females and this impacts the masculinity or femininity of the hairline as well as the face. The differences listed above make it imperative that the procedure be performed by a hair transplant surgeon who is experienced in performing transgender hair transplant surgery. Patients transitioning from male to female (MTF) might have to overcome the extra challenge of a receding hairline. This is true even while they are taking anti-testosterone medications. Thankfully, this concern has been addressed by MTF hair transplant and medical treatments. 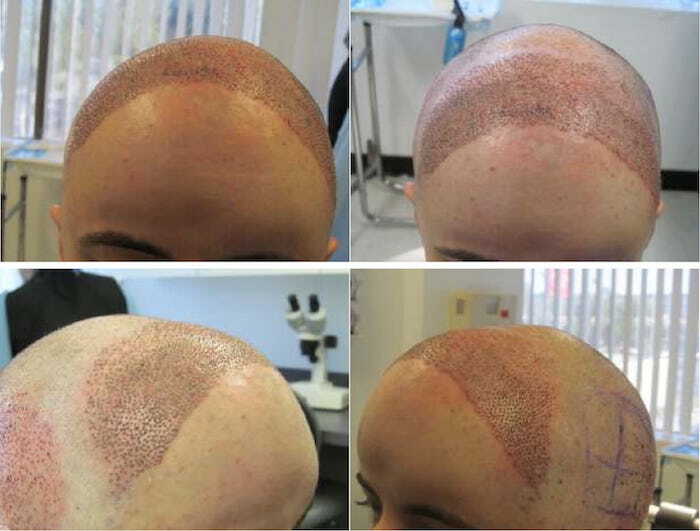 Hair transplant surgery to make a feminized hairline for a patient is one of the most successful procedures in creating a feminine appearance in a transgender patient. Taking prescription medications for hair loss can also help minimize hair balding patterns in male patients. The hair transplant process is a big part of facial feminization. However, the continued effect of male hormones on the hair of patients should be the next priority. If the testicles are still intact, the patient need to be on prescription medications that block or minimize the effect of the testosterone. Some MTF transgender patients utilize surgical procedures to eliminate testosterone. Advances in cosmetic surgery that have been created and refined over the past few years have allowed male to female (MTF) patients to enjoy life changing results. For patients undergoing an MTF transition, a hair transplant should be considered one of the first steps of their treatment plan. No matter how much of a change is made to other parts of body, without a hair transplant to feminize the face, it will be impossible to create a complete female appearance. 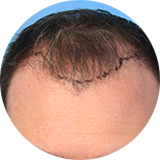 In general, a mature adult male hairline is distinguished by the natural appearance of mild recession on both corners of the frontal hairline. This fact is seen in more than 90% of adult Caucasian males. As opposed to a mature adult male hairline, the hairline of a female is normally rounded or flat in appearance. In most cases, a rounder hairline looks more feminine on a person.